the PDF file. This is a 20.2 Mbyte high-resolution file with color photos. Below: From left, teacher Carrie Locke looks on with Liz Phillips (finalist) as Elise Renwick (middle school champion) speaks about her essay. At right is Prairie Winds Elementary School Principal Aileen Finnegan. Placement on the Advanced Placement Honor Roll, one of two districts in Colorado this year and the only Colorado district to be honored two years in a row. The Honor Roll recognizes districts that increase offerings of AP classes and the number of students participating in them. Four district schools were awarded the John Irwin School of Excellence award—Kilmer Elementary, Lewis-Palmer Elementary, Prairie Winds Elementary, and Lewis-Palmer Middle School. He said it was especially satisfying that Lewis-Palmer Middle School earned this designation during the year it became the single middle school in the district. The district has the top remediation rate for a public school district in the state. This designation reflects the fact that Lewis-Palmer’s graduation standards are high and students need to take few or no remedial courses to qualify for college level classes. The district’s sports, music, and drama programs often place high in state and national competitions. One student scored a perfect score on the ACT exam. Borman said that, while he is proud of the district’s achievement, it concerns him that public perception may be that the district has suffered no setbacks as a result of severe cuts in funding over the past four years. The district was notified the previous week by the Colorado Department of Education (CDE) that cuts for the 2012-13 year will be $48.4 million statewide. In addition, although the district has benefited this year from greater enrollment than anticipated, the state will not fund growth, so each student will receive less funding than previously. The district has benefited from two grants in the past year, one to provide GPS systems for school buses and the other to fund repairs to the roof of Lewis-Palmer Middle School. Creation of a homeschool enrichment academy to offer instruction one day a week at Grace Best. Meetings of parents are being held and the district hopes to initiate classes in the fall. The district’s marketing plan is being expanded. For details on this, please see the District Accountability Advisory Committee article in the January issue of OCN on page 20. Efforts continue to save on utility costs. Board President Jeff Ferguson commented that he is concerned about the erosion of the district’s capital assets, and the erosion of its human assets at the high school level. He said that the present course cannot be maintained without damage to future graduates in the district. Borman agreed, urging especially that funding for technology must somehow be restored. Assistant Superintendent Cheryl Wangeman presented a plan to retain sufficient reserves for the district to fund its payroll during the first few months of the year. State funding is received in 12 equal installments throughout the calendar year, but real estate tax revenues are received in February, March, and April only. As a result, there is often a shortfall of funding in January and early February. In the past, districts were allowed to borrow money interest free from the state to cover this shortfall. That is no longer the case. Wangeman explained a process by which the district could maintain a reserve of about $2 million to cover this shortfall each year and be replenished as real estate tax funds are received. In a separate report, Wangeman said that there has been a recent rally in bond sales and that the district’s financial counsel, David Bell, had suggested the possibility of refinancing a portion of the district’s 2006 general obligation bonds to save taxpayers money on the interest to be paid. Anticipated net savings would be $759,000. She assured the board that any such action would be reviewed by CDE to ensure that the taxpayers benefited from the action. The board agreed to have Wangeman and Bell monitor the market and return to the next meeting with recommendations. Ferguson reported that he and board Secretary Robb Pike had finalized the document describing the new evaluation process for the district’s superintendent. He said that the document had been sent to all members of the board since the December meeting. Each member of the board will prepare an assessment. The board will hold quarterly meetings with the superintendent to discuss his activities and suggested improvements. A portion of the final evaluation document will be available to the public. Wangeman and Transportation Manager Robin Mossman spoke to the board about studying the feasibility of instituting fees for bus transportation. For background on the proposal, please see the District Accountability Advisory Committee (DAAC) article. Interested parties may also access the presentation on the district’s website, www.lewispalmer.org. Look under "Parents and Students" in the left column of the home page, then click on "Transportation" and view the presentation and survey using the links under "Transportation Announcements." Information about upcoming public hearings is also found at that site. Wangeman said that she and members of a committee formed to administer the study have spoken at all schools. They have also been in contact with newspapers, television stations, local organizations such as the Kiwanis, and district communication groups. Georgina Gittins, DAAC member and a Bear Creek Elementary parent, reported that 250 surveys have been completed so far. Volunteers will compile a report on the results. The committee has contacted other school districts to learn of their experiences with transportation fees. All districts adjacent to Lewis-Palmer charge a fee or plan to institute one in the fall. Gittins reported that people do not seem surprised to hear that a fee is being considered. She said that the committee hopes to make future meetings of the committee available online and offer the possibility for viewers to comment. Wangeman said that she will return to the board with a list of pros and cons on the subject at a future meeting. Prairie Winds Elementary Principal Aileen Finnegan introduced students from her school who were the champion and finalist in the second annual Alpine Achievement Systems Essay Contest. The champion, Elise Renwick, and the finalist, Liz Phillips, are both sixth-graders and competed in the middle school category. Their teacher is Carrie Locke. See photo above. Elise won $500 for herself and an additional $500 for the school. Last year, two of Locke’s students also were champion and finalist in the contest. 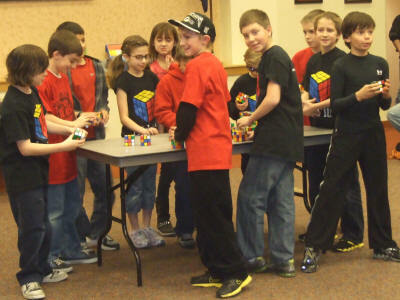 Lewis-Palmer Elementary Principal Lois Skaggs introduced a group of students who recently won a competition in solving Rubik’s Cubes at the city auditorium. The students, who are in grades 3 through 6, competed in the middle school category. They won a $500 prize for the school. The students demonstrated their talents for the board. See photo above. Board member John Mann commented that he was very concerned about deterioration of capital assets of the district and decline in availability of such services as reading and math coaching and other interventions. He is also concerned that staff cuts are eliminating many new and promising teachers from the district. Mann said that the district must strive to find a way to go beyond stopgap solutions to its budgetary challenges and that the best solution is to give the community an opportunity to support the district through a mill levy override (MLO). Board Vice President Mark Pfoff agreed, saying that the board has proven that it spends wisely and needs to determine whether it is feasible to seek an MLO. He said that board actions in the past year and the suggested refinancing of bonds have benefited taxpayers and in a sense taxpayers are being disenfranchised by not being offered an opportunity to support the schools. The board approved a list of routine items such as minutes of meetings, ratification of closures due to weather, resignations, terminations and retirement of staff, lists of substitute teachers, and contracts requiring board signature. The Board of Education meets at 6 p.m. on the third Thursday of each month at the district’s learning center, 146 Jefferson St. in Monument. The next meeting will be held on Feb. 15. At its Jan. 17 meeting, Lewis-Palmer School District 38’s District Accountability Advisory Committee considered a bus fee of 50 cents per ride for most students. Assistant Superintendent Cheryl Wangeman and Transportation Manager Robin Mossman explained the district’s approach to considering transportation fees beginning in the 2012-13 school year. A committee has been formed to implement the study of fees in surrounding areas and to present information at all schools regarding the study. The committee includes Board of Education Treasurer Gail Wilson, Wangeman, Mossman, a community member, the district’s school resource officer (on matters of traffic), parents of children who ride the bus and attend all three school levels, and teachers. Public hearings will be held in February to allow community members to ask questions and express their opinions. Wangeman said that district officials do not like the idea of adding transportation fees, especially during a weak economy, but said that parents have indicated during past budget discussions that they would prefer additional fees instead of a loss of programs or services. Per pupil funding has been cut by $576 over the past two years and is anticipated to be cut by an additional $125 next year. The district currently spends $2.1 million on transportation annually. The state reimburses about $600,000 of this amount. If a fee of 50 cents per ride were implemented, $200,000 annually could be generated, the equivalent of salary and benefits for four teachers. This figure is based on the assumption that some current riders will choose to find other means of transportation. Parents would prepay on a card that would be swiped each time students boarded a bus, with the fee deducted from the balance on the card. Parents would register in the spring for the following fall and bus routes would be designed based upon this information. All districts adjacent to District 38 currently charge a bus fee or plan to implement one next fall. The most common cost per ride is 50 cents. A student who takes the bus to and from school each day would pay about $169 per school year. An alternate plan would be for parents to pay a monthly fee regardless of the number of rides a student took. Students eligible for free or reduced-price lunches would not be charged a fee. Special-needs students who require special-needs busing as indicated in their individualized education plan (IEP) would not be charged a fee. Wangeman distributed a survey for committee members to fill out and offer their opinions. The survey is also available online. Wangeman also distributed a brief budget update to the committee. It stated that funding cuts are unlikely during this school year and that higher than expected enrollment has benefited the district. The Colorado Department of Education (CDE) had notified the district to expect cuts of about $125 per pupil next year in addition to increases in Public Employees Retirement Association (PERA) costs and utility costs. Further increases in enrollment may offset this reduction somewhat, as could further energy saving measures. Wangeman pointed out that the cost of water is being increased. Prairie Winds Elementary School Principal Aileen Finnegan said that the school exceeds requirements in all core academic areas and meets targets in terms of annual yearly progress (AYP). The school’s focus on writing resulted in great progress, bringing scores up to 86.5 percent. The area of challenge in the upcoming year is annual growth in reading (the school was rated as approaching adequate scores). About half of those students making inadequate growth in reading were sixth-graders. The school’s target is a 50 percent decrease in those with low growth in reading. This will be achieved by monitoring the individuals involved and providing intervention when necessary. Ray E. Kilmer Elementary School Principal Chuck Stovall reported that his school’s scores also exceed requirements in academic achievement. The school meets requirements in academic growth and displays a significant improvement in scores in reading over the past three years. The school continues a focus on improvement in writing, having scored 85.8 percent compared to its 90 percent goal. Stovall said the school needs to improve in math, particularly among those on free or reduced-price lunches. Stovall said that his staff will endeavor to restructure its schedule and curriculum to provide more time in math class, particularly to give students more time to practice concepts before moving on. In addition, the school will develop a Summer Math Team including up to five teachers, to help students struggling with the subject. Board of Education member Robb Pike spoke to the committee about the possibility of requesting a mill levy override (MLO) on the November ballot. He said that the high performance and quality education in the district cannot be supported through continued cuts that are anticipated over the next several years. Pike said that it is critical to reach out to those who do not have children in school, about 75 percent of the district’s population. The district needs to find representatives of this group who are willing to speak to their friends, neighbors, and organizations in support of the school system, he said. Pike commented that ideally an MLO should not appear on the ballot unless it is certain to pass. This will require a lot of volunteers knocking on doors and telephoning citizens, he said. The District Accountability Advisory Committee meets at 7 p.m. on the second Tuesday of each month. Locations vary. The next meeting will be held on Feb. 7 to avoid conflict with Valentine’s Day. The meeting will be at Palmer Lake Elementary School, 115 Upper Glenway, Palmer Lake. At the Jan. 18 meeting of the Special Education Advisory Committee, School District 38 Assistant Superintendent Cheryl Wangeman and Transportation Manager Robin Mossman offered a presentation on the transportation fee study underway in the district. For background information, please see the article on the District Accountability Advisory Committee. If a student’s Individual Education Plan (IEP) specifies that the student ride specially equipped buses, there would be no fee to ride the bus. The district received a grant last year that would cover the cost of GPS and card readers on all buses. Previously used radios are not useful in all locations. If the program is implemented, there will be annual costs, including hiring an individual to handle billing and purchase of software. Monument Academy could participate in the program but would have to pay a share of the cost. Monument Academy has chosen to administer its own special education program. Field trip and athletic trip transportation would be handled separately. Athletic trip charges are included in the fees for athletic participation. The district has considered ways to compensate for increased traffic around schools at the beginning and the end of the school day. This includes offering off-site parking for teachers, installing new signs to direct traffic, and shifting arrival times. Some individuals suggested increasing sports fees to help with budget shortfalls. Wangeman said that the caliber of the sports teams attracts students to the district. Board of Education member John Mann commented that sports fees have been increased considerably over the last few years. Special education students would be provided with an identification card that would be swiped when they board a bus, although they would not be charged. This would help with reporting to the state on which services are being provided to special-needs students. To view the presentation and complete a survey on the subject of transportation fees, go to lewispalmer.org, click on "Parents and Students" on the left, then on "Transportation." Information on public hearings is also available at this location. Director of Exceptional Student Services Mary Anne Fleury reported briefly about a new state initiative to reinvent special education. Tie funding to student needs. Create accountability measures separate from the current Adequate Yearly Progress. Instill the idea that every kid is everyone’s kid. Develop standards to ensure that special-education students are ready for life after high school. If a district’s curriculum and programs are successful, cut back on reporting requirements. Eliminate the IEP and replace it with an Individual Growth Plan for all students. Fleury said that general education teachers are now being trained regarding response to intervention and differentiation in curriculum to respond to students’ individual needs. Co-teaching would be the ideal method of ensuring that special-needs students are integrated into the classroom, but there is insufficient staff to practice that at this time. Special Education Advisory Committee (SEAC) Chair Suzanne Faber explained some of the applications available for the iPad that could greatly assist special-needs students. She said that Apple Computer consultants are very active in developing applications to help with such issues as dyslexia and an inability to speak before a class. A student can type a presentation into an iPad and the tablet will speak the presentation while the student shows the class the project to which it refers. Whether a student is allowed to use his or her personal iPad in class is determined by that student’s IEP. Faber recommended a website, SNApps4Kids, which reviews various applications. The name of the site refers to Special Needs Apps. She suggested that interested parents visit a store to try out software before purchasing it. Some apps address organizational skills, social skills, writing, and reading. There is a large variety available, with prices as low as a few dollars. Wangeman suggested that parents who have questions about technology should submit them to Dr. Lori Benton, director of Gifted Education, Assessment and Technology, and perhaps invite her to a future meeting of the committee. Members of the committee discussed ways to provide funding for additional technology, including grant applications and a potential mill levy override bid in the fall. The Special Education Advisory Committee meets at 6:30 p.m. on the second Wednesday of each month in the district’s learning center, 146 Jefferson St. in Monument. The next meeting will be on Feb.8. At the Jan. 25 Donald Wescott Fire Protection District board meeting, Administrative Assistant Cheryl Marshall reported on what the final figures for the 2011 budget should be based on the November and December financial statements. The actual surplus rolled over in the district’s general fund will be about $220,000, compared to the $226,690 surplus projected in the 2011 general operations budget. Marshall and Chief Vinny Burns reviewed which specific budget line items were significantly above or below the amounts listed in the 2011 budget. Director Bo McAllister noted that the situation will change significantly in 2012. No surplus is projected in the 2012 general operations budget at the end of December. Total district cash reserves are expected to drop from $3.03 million at the end of 2011 to $958,000 at the end of 2012. Two board positions with four-year terms will come open on the district board in May. If you are interested in serving on the Wescott Board of Directors, you must submit a self-nomination and acceptance form for consideration. Applications will be accepted Wednesday, Feb. 8 through Thursday, Feb. 23. Forms may be obtained through Marshall, the designated election official. You may contact her at cmarshall@wescottfire.org or at (719) 488-8680. Wescott Fire is now accepting applications for its next class of volunteer firefighters. Applications must be received by close of business Feb. 20 for consideration. See www.wescottfire.org for details. Assistant Chief Scott Ridings reported that run reports now would be presented only on a quarterly basis. The total number of runs in 2011 was 1,559, up from 1,328 in 2010. Ridings gave a lengthy technical review of all of Wescott’s 2011 statistics in the annual run report. Some of the December district activities Burns reported on were Santa Patrol Day, a residential garage structure fire in which Wescott assisted Tri-Lakes Monument Fire Protection District, and hiring three new firefighters. An annual report for 2011 will be posted on the district website. The board unanimously approved Ridings’ request to purchase a new four-wheel-drive crew cab diesel pickup truck for $37,815 through the state vehicle purchase system. The additional cost for paint to match the rest of the department apparatus, and installation of lights, radios, sirens, and decals brings the total expense to $47,585. The pickup truck will be used for a variety of district activities that require the ability to tow very heavy trailers for activities such as wildland fire deployments and neighborhood wildfire mitigation chipping events. The meeting was adjourned at 8:39 p.m. The next meeting will be held at 7 p.m. on Feb. 22 in Station 1, 15415 Gleneagle Drive. Meetings are normally held on the fourth Wednesday of the month. Information: 488-8680. At the Jan. 25 meeting of the Tri-Lakes Monument Fire Protection District, Treasurer John Hildebrandt said that through Dec. 31, the district had received $3.217 million in property tax revenue, which was 99.78 percent of the budgeted amount for 2011. It had received $238,584 of the specific ownership taxes due, which was 103.45 percent of the budgeted amount for 2011. Ambulance revenues were $609,135, or 124.31 percent. Impact fees totaled $158,038, which was 263.51 percent of the 2011 budget. The district collected $128,260 in September from the 179-unit Blevins apartment complex. In summarizing expenses for 2011, Hildebrandt reported that insurance spending had exceeded budget allowances by 3.41 percent, medical spending had exceeded budget by 20.99 percent, uniform expenditures had exceeded budget by 5.94 percent and vehicle expenses had exceeded budget by 6.63 percent. All other expenses were under budget. The overall expenditure rate for 2011 was 2.97 percent under budget. Resolutions assigning Fire Chief Robert Denboske as the designated election official and election resolution 12-001 were approved. The district office manager, Jennifer Martin, advised the board that the district was registering Tri-Lakes residents who had a medical condition or physical disability for emergency assistance should a potential evacuation of the area be necessary. Any resident desiring to register should call Jennifer Martin at 719-484-0911. Relatives or friends who know a person who might require assistance should ask them to register or, if the individual is not able to make the call, contact Jennifer for more specific instructions. Denboske reported that all fire vehicles were up and running. He also noted that Training Officer Mike Keough would do the training reports on a quarterly basis from this point on. The board then went into executive session, citing the reason as "Determining positions relative to matters that may be subject to negotiations; developing strategy for negotiations; and instructing negotiators." The next meeting will be held at 6:30 p.m. on Wednesday, Feb. 22, at the Administration Center at 166 Second St. in Monument. For further information regarding this meeting, contact Martin at 719-484-0911. On Jan. 10, Facility Manager Bill Burks updated the Tri-Lakes Wastewater Treatment Facility Joint Use Committee (JUC) on various aspects of in-stream testing for nutrients in Monument Creek and changes in metals testing for the state’s new discharge permit for 2012 through 2016. The JUC has directed Burks to continue performing monthly tests indefinitely for nutrients in Monument Creek above and below the plant, as well as in the mixing zone near the facility’s discharge pipe. All these data will be needed to defend the facility’s resistance to what are considered to be unreasonable effluent limits for all the various compounds that comprise the total phosphorus and total nitrogen discharge limits. Burks’ staff will also test for copper in all three districts’ influent wastewater. The copper limits for treated effluent in the new discharge permit were changed to 9.7 parts per billion (ppb) on average and 15 ppb for a single test result, which Burks said will be very difficult to achieve during dry winter periods. The new permit includes a three-year extension of the previous permit’s temporary modification that allowed the copper limits to be 24.8 ppb on average and 36.4 ppb for a single test. The effects on copper removal after the proposed addition of chemical phosphorus treatment to the Tri-Lakes plant are unknown and will be analyzed under a temporary pilot plant approved by the state Water Quality Control Division. The pilot plant is being designed by engineering consultant Tetra Tech. The Tri-Lakes facility operates as a separate public utility and is jointly owned, in equal one-third shares, by Monument Sanitation District, Palmer Lake Sanitation District, and Woodmoor Water and Sanitation District. The three-member JUC acts as the board of the facility and consists of one director from each of the three owner districts’ boards: Dale Smith from Palmer Lake, Lowell Morgan from Monument, and Jim Whitelaw from Woodmoor. Typically, several other district board members and the district managers also attend JUC meetings. The JUC unanimously accepted the December financial report. Total ammonia averaged 0.7 parts per million (ppm), with a daily maximum reading of 1.3 ppm. The daily maximum total inorganic nitrogen concentration for December was 6.2 ppm; the limit is 23 ppm. The first quarter reading for cyanide was a non-detect. The semiannual total recoverable arsenic concentration was 3 ppb. The monthly total recoverable iron concentration was 49 ppb. The final test reading for dissolved hexavalent chromium under the expired discharge permit was a non-detect. Chromium was dropped from the new five-year discharge permit effective on Jan. 1. The average reading for potentially dissolved (PD) zinc was 52 ppb, with a peak of 58 ppb. The average reading for PD copper was 5.5 ppb, with a peak of 6.0 ppb. The limits are 24.8 and 36.4 ppb respectively. The average reading for PD manganese was 67 ppb. The average readings for PD silver, PD cadmium, PD trivalent chromium, PD lead, PD nickel, PD selenium, and total mercury were all non-detects. Testing for nickel was dropped in the new permit. The average reading for phenols was 44 ppb. The semiannual whole effluent toxicity test results were all "no toxicity." Monument District Manager Mike Wicklund reported that a nylon wristwatch strap was the cause of the previously reported jam of Pump 2 in the Wakonda Hills lift station. The automatic control system prevented any damage to the pump or its motor. The auto-dialer system gave Wicklund immediate telephone notifications of the jam. The backup pump assumed the load for the automatically disconnected pump 2. Palmer Lake and Woodmoor reported that no operational problems occurred in December. The next meeting will be held at 10 a.m. on Feb. 14 at the Tri-Lakes facility’s conference room, 16510 Mitchell Ave. Meetings are normally held on the second Tuesday of the month. Information: 481-4053. Triview Operations Supervisor Steve Sheffield, a member of the Monument Public Works staff, discussed a variety of operational issues with the Triview Metropolitan District board on Jan. 10. Triview board President Bob Eskridge was absent from the meeting. Sheffield noted that the town staff needed to have a more defined policy regarding when a water meter would be installed on a lot during construction of buildings and homes within Triview. Getting an accurate measurement of how much water is used during construction is offset by the risk of water meters being stolen before a new house or building is fully secured by locked doors and windows. There was a lengthy discussion of the wide variety of policies on how and when fees begin to be charged to developers and builders by the various water districts and municipalities along the Front Range. The board asked Sheffield to draft a policy for discussion at the Feb. 14 board meeting. The filter media for the two B water treatment plant filters will be changed out due to low water demand during the winter. Information on the age of transponders for older residential water meters will be listed to determine which will be changed out. A new two-inch magnetic meter, costing $1,200, for the B plant’s sludge tank would help determine how much sediment-filled water is produced and stored during the backwash of the filter media. It would optimize the process and minimize the currently unaccountable wastewater that has to be treated for iron and manganese. The Triview board should have a representative attending the monthly Pikes Peak Regional Water Authority meeting. The water tank will be cleaned on Feb. 12. Parts from three failed blowers at the facility were used to make a single rebuilt blower at a cost of $4,500; the two new replacement blowers cost $20,000 each. The cause of the failure of these three large blowers is still undetermined. The belt press that dewaters sludge at the facility has been modified at a cost of $16,500 to make it easier to distribute dried sludge cake over the full length of the large dumpsters used for cake disposal. An AC electrical power correction factor study costing about $9,000 will be conducted to optimize electrical efficiency of motors in the facility, with $9,000 in savings expected within three years. The board authorized Sheffield to represent Triview at monthly facility operating committee meetings with approval authority of up to $5,000 for budgeted expenditures. Note: Triview shares the operations and maintenance cost of this facility with co-owner Donala Water and Sanitation District. Members of the Donala staff operate the facility under an intergovernmental agreement with Triview and Forest Lakes Metropolitan District. Forest Lakes has no homes at this time on its two vacant sites on the west side of I-25 adjacent to Baptist Road. Sheffield reported that stripes should be painted on the road at the busy intersection of Leather Chaps Drive and Jackson Creek Parkway to ensure that motorists safely make left turns from the dual left-turn lanes on Leather Chaps to go north and south on the parkway. The Town of Monument has already paid for the traffic study that identified this need for roadway striping. Changes in the sensors that operate the left-turn lights in the existing traffic signals at this Leather Chaps Drive intersection are also required, because single cars waiting to turn left on the Parkway are often not sensed and drivers often choose to turn left during a red light. Sheffield was asked to get bids for painting the stripes and making improvements to the traffic signal control systems. The board approved a donation of $1,000 to the Colorado Rural Communities Coalition for representation of Triview to the state Legislature and the governor regarding the Water Quality Control Commission hearing on nutrient criteria on March 12. Monument Treasurer Pamela Smith reported that the 2011 audit would be conducted in early March. The remaining principal balance on the loan to Triview from Donala for expansion of the Upper Monument facility is $891,000. The board approved an increase in the monthly fee for Triview attorney Gary Shupp from $2,000 to $4,000 per month. Shupp also serves as the Town of Monument’s attorney for a fixed monthly fee. Monument Town Manager Cathy Green asked the board to meet with town representatives on extending Triview’s three-month intergovernmental agreement for administrative services by town staff for office space rental and payroll management past March 31. There was consensus to have separate work sessions to discuss this issue. The board went into executive session at 7 p.m. to discuss contract negotiations regarding water rights with Center Development. The next regular Triview meeting will be held at 5 p.m. on Feb. 14 at Town Hall, 645 Beacon Lite Road. Meetings are normally held on the second Tuesday of the month. Information: 884-8017. At the January Woodmoor Water and Sanitation District (WWSD) board meeting, members considered a request for a water rate variance from the Brookmoor Estates Home Owners Association (BHOA). Brookmoor Estates, just south of Lake Woodmoor, is a planned community with 37 single-family patio homes that could eventually grow to 59 patio homes. The BHOA provides irrigation water to homes and common areas within the community and is currently billed under the WWSD irrigation rate structure. BHOA member Dave Schmidt explained that Brookmoor residents pay a commercial water rate and would like a lower residential rate or a variance to decrease water costs. Possible solutions were discussed, but no final decisions were made. WWSD is calling for nominations for the May 8 election of four new board members. Application packets will be available on Feb. 15, with a March 2 deadline to file. Assistant Manager Randy Gillette gave the operations report, stating well 12 is being re-drilled to make it deeper. The well is scheduled to be back in operation by May at a cost of $250,000. The district is considering the replacement of the roof and furnace of the office building sometime this summer. The directors were scheduled to tour the JV Ranch on Jan. 24. The board approved $3,000 to go toward further research on the wastewater nutrient standards to be set by the Environmental Protection Agency. Monument and Palmer Lake have also contributed $3,000 in support of more research into what the nutrient standards should be in the Tri-Lakes area. District Manager Jessie Shaffer recommended John Cutler and Associates perform the 2011 audit. The board unanimously agreed. Shaffer also recommended that Wells Fargo Bank manage the proceeds from the JV Ranch purchase of revenue bonds. The board approved, with one abstention. The next regular board meeting will be held at 1 p.m. Feb. 9 at the Woodmoor Water and Sanitation District Office, 1845 Woodmoor Dr., Monument. For information: 488-2525 or www.woodmoorwater.com. 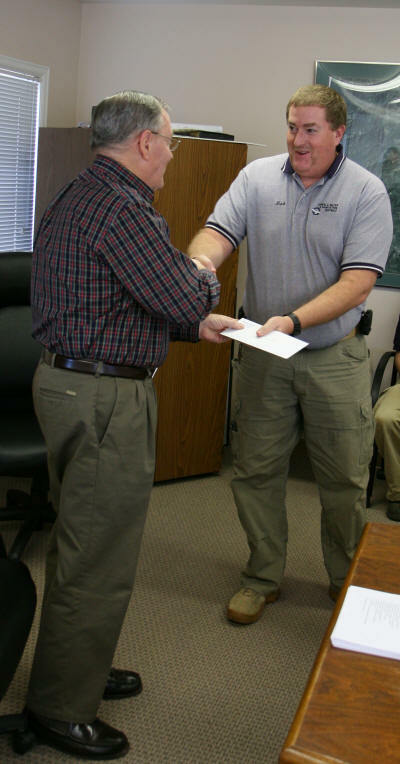 Below: Donala board president William George (left) congratulates Mark Parker on being named employee of the quarter. Photo by John Heiser. At the Jan. 26 monthly meeting of the Donala Water and Sanitation District Board of Directors, Dana Duthie, district general manager, reported that for the district to use 280 acre-feet per year of stream flows formerly used to irrigate the Willow Creek Ranch, the purchase cost per acre-foot totaled $26,397 based on $5.05 million to purchase the ranch, $626,650 in legal and engineering fees, $596,668 for the connection to Colorado Springs Utilities (CSU), $248,411 for construction and maintenance work at the ranch, and $75,000 for other related expenses. An acre-foot is 326,851 gallons. The 280 acre-feet of water per year granted under Judge Dennis Maes’ water court decree will cover about 20 percent of Donala’s current demand. The Willow Creek Ranch water flows to the Arkansas River and is then conveyed north through CSU’s system and through the connection between the Donala district’s water infrastructure and CSU’s distribution pipe in the vicinity of Northgate Road. Duthie estimated the annual operation and maintenance costs at $10.48 per 1,000 gallons, or $1.37 million per year, to transport the ranch water together with an additional 150 acre-feet per year of water leased from the Pueblo Board of Water Works. In 2010, the average rate paid by customers in the Donala district was about $5.60 per 1,000 gallons. Total projected revenue for 2012 is $15.657 million. Some of the larger amounts are $6.3 million from bond sales for infrastructure improvements for handling renewable water, $2.313 million from water sales, $1.132 million from property taxes, and $893,000 from sewer service. The budget projects a 25 percent increase in water sales revenue due to the increase in rates and fees adopted at the board’s November meeting. 2012 expenses for operations and administration are projected at $6.186 million. Some of the larger amounts are $1.084 million for repayment of loans, $750,000 for salaries, $613,566 for wastewater plant operating expenses, $400,000 for repairs and maintenance, and $335,000 for utilities. 2012 capital project expenses are estimated at $6.8 million, including $6.3 million for infrastructure improvements to handle renewable water. The projected ending total fund balance for 2012 is $6.024 million. Mark Parker was named the employee of the quarter. Parker has been the chief water operator since March 2003. Parker was recognized for his work in satisfying the state’s reporting requirements. Susan McLean, the district’s conservation/landscape manager, has provided conservation designs to 20 individual residential customers and has consulted with several of the townhome complexes. During the three months from Oct. 1 through Dec. 31, the district’s $3.189 million in investments managed by Davidson Fixed Income Management showed a yield of 0.35 percent, achieving a goal of beating the Colotrust Plus fund, which yielded 0.05 percent during the same period. The weighted average maturity of the district’s investments is 9.0 months. Davidson also separately manages $6.3 million in proceeds from the bond sale to be used to fund the infrastructure improvements needed to handle renewable water and $596,522 in a debt service reserve fund associated with the bond sale. The Big R store proposal for the parcel at Spanish Bit and Struthers Road, which is now part of the district, has submitted plans to the county. Duthie noted that the 10-acre parcel will be split into four lots with the Big R store on the northwest corner. Duthie said he was told work on the store could start in February or March. Duthie reported on the Dec. 7 and Jan. 4 meetings of the Pikes Peak Regional Water Authority. He noted that funding the transit loss model continues to be a focus of attention. Donala’s share of the cost for the model is $16,358 per year. Duthie said there is currently no benefit to the district because it does not have a customer for its share of the effluent from the wastewater treatment plant. Duthie also reported that the Colorado-Wyoming Coalition’s Flaming Gorge Feasibility Investigation is waiting for modeling results from the federal Bureau of Reclamation. The feasibility is scheduled for completion in July 2012. Note: The transit loss model measures and records the amount of non-native Fountain Creek watershed stream flows owned by several municipalities and water districts. The amount of this water added to native stream flows by external sources, such as effluent from wastewater treatment facilities, can be exchanged or reused. The model calculates how much of the added water is lost. The Donala board will hold its next regular meeting Feb. 16 at 1:30 p.m. at the Donala office, 15850 Holbein Drive. Meetings are normally held on the third Thursday of each month; however, no meeting will be held in November 2012, and the December 2012 meeting will be held Dec. 6. An informational meeting of homeowners with septic systems was held on Jan. 30, director Jim Weilbrenner reported at the Feb. 1 Academy Water and Sanitation District board meeting. Mike McCarthy, environmental health supervisor of El Paso County Public Health, gave a presentation on maintaining septic systems and the role the county plays to help. The reason for the meeting was that Academy’s Source Water Protection Plan, which was put into place last year, had identified faulty septic systems as a potential hazard to the shallow wells that supply water to the district’s 300 residents. While turnout was low, residents said they were glad for the meeting and had many questions. Most were unaware of how their septic systems worked and said they had not been given information about the systems when they bought or built their homes. Election time: Three board members’ terms are up in May. Director Ron Curry said a "call for nominations" would run in the Gazette on Feb. 8. Anyone interested in running for a board position should call the district office, 481-0711. If there are no new candidates, Curry said he will cancel the election on March 6. The Academy Water and Sanitation District board usually meets at 7 p.m. the first Wednesday of every month at the fire station on Sun Hills Drive. The next meeting is March 7. 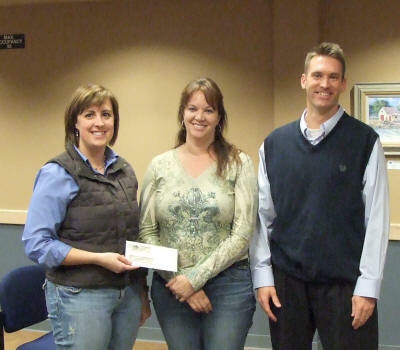 Below: At the Monument Board of Trustees meeting Jan. 3, Mayor Travis Easton presented a check for $1,200 to Carol Kramer (center) and Ashley Fritz of the Trails End HOA.The town hired contractors to correct flawed infrastructure using a $50,000 performance bond posted by developer James Morley. The bond was used to correct sidewalk, pavement, and landscaping problems. The work was completed under budget, leaving a $1,200 balance. The Trails End HOA has agreed to use the money solely for common area improvements. Photo by Jim Kendrick. On Jan. 3, the Monument Board of Trustees (BOT) approved a three-month administrative services intergovernmental agreement (IGA) between the town and Triview Metropolitan District. The Triview board approved the IGA in December. This administrative services IGA extended the period for having the town staff operate the Triview District on a fee-for-services basis until March 31. The cost of the office space rental and payroll management IGA is $2,764 per month, paid by Triview to the town. The town also has two other IGAs with Triview for town staff operation of Triview’s water system and sanitary sewer collection systems, landscaping systems and roads maintenance, sweeping, and snow removal. Note: The board did not meet on Dec. 19 or Jan. 17 due to a lack of agenda items. The BOT also unanimously approved the donation of a $1,200 check to the Trails End Homeowners Association that remained unused from a $50,000 performance bond posted by the Trails End developer for use by the HOA for common area improvements. Ashley Fritz and Carol Kramer accepted the check from Mayor Travis Easton. Treasurer Pamela Smith presented the October sales tax report. Two major retailers did not report sales tax in October, resulting in a drop of about $25,000. Net sales tax revenue was less than the amount budgeted through October by 1.9 percent or $40,000, a decline of $24,000 from September. The board unanimously approved the October sales tax report. Town Manager Cathy Green reported that she had received over 60 resumes for the vacant Public Works director position. A consultant will screen the resumes and make recommendations to Green on selecting the finalists for interviews. Green also said that the staff is making recommendations for updates to the town’s website. She added that meetings are being held between the town and the Woodmoor Water and Sanitation District toward resolving differences over water rights in Monument Lake, with a goal of agreeing on a first draft report in February. Director of Development Services Tom Kassawara reported that the town would pay for road stripes to be painted at the busy intersection of Leather Chaps Drive and Jackson Creek Parkway to help motorists safely make left turns from the dual left-turn lanes on Leather Chaps. There was consensus that with the town paying for the stripes, Triview should pay the full expense for any adjustments in the optical traffic sensors for the troublesome traffic signal at this intersection. The signal often does not sense cars in the dual left-turn lanes for westbound Leather Chaps Drive. The meeting adjourned at 7:02 p.m. The next meeting will be held in Town Hall at 6:30 p.m. on Feb. 6 at Town Hall, 645 Beacon Lite Road. Meetings are normally held on the first and third Monday of the month. Information: 884-8017. On Jan. 11, the Monument Planning Commission approved an I-25 Gateway Corridor Use Plan that is an amendment to the town’s Comprehensive Plan. Chair Ed Delaney and Vice Chair Kathy Spence were re-elected to these positions for 2012. Commissioners Delaney, Dave Gwisdalla, and Glenda Smith were absent from the meeting. The Planning Commission has sole discretion over the Comprehensive Plan by statute, as well as amendments to it. Principal Planner Karen Griffith noted that the staff will present the Planning Commission’s actions to the Board of Trustees for endorsement. She added that the changes in any comprehensive plan amendment apply to new proposals for development projects, but do not retroactively apply to properties within areas where zoning regulations are already in place. Griffith noted that the proposed amendment contains specific planning area recommendations for the corridor immediately adjacent to both sides of I-25 from County Line Road to the northern boundary of the Air Force Academy. The purpose of the proposed changes to the comprehensive plan is to preserve and enhance the scenic qualities of the corridor, particularly the gateway to southern Colorado along Monument Hill. This is to be achieved through updated goals, policies, and strategies addressing the quality of future development and redevelopment in this corridor. These proposed revisions are based on recommendations of the town’s I-25 committee, which consisted of members of the staff, Board of Trustees, and Planning Commission. Griffith stated that the staff’s proposal calls for adding "Gateway" to the title of two existing town land use designations: Regional Commercial Centers and Small Office/Warehousing. Griffith also gave a detailed description of the revisions for proposed land uses in the Comprehensive Plan for this gateway corridor. Griffith discussed in detail the Board of County Commissioners’ proposals for less restrictive county commercial zones. She also noted the details of planning meetings held by the staff with the county Development Services Department. The county’s proposed planning changes for vacant county commercial space on the east side of the I-25 gateway corridor do not include the town’s recommendations for an overlay that would make the county commercial zone regulations consistent with the town’s gateway corridor commercial zone regulations. Note: After this Planning Commission meeting, the Board of County Commissioners approved the county staff’s proposals for less restrictive commercial zone regulations without adopting the Monument staff’s recommendations for more restrictive regulations in the county’s portion of the gateway corridor. Director of Development Services Tom Kassawara gave a detailed formal presentation on the town’s request to add the town’s overlay proposal to the county commissioners during that county zoning hearing before the commissioners voted. Griffith also noted the details of planning meetings held by the staff with the county Development Services Department and Dennis Minchow of the Shuck Corp., which owns the vacant land between Baptist Road and the Air Force Academy, southeast of the intersection of Baptist Road and Old Denver Highway. Schuck plans to develop the Forest Lakes Business Park, including an industrial park at the southwest corner of its vacant parcel. During public comment, Minchow thanked the staff and members of the Board of Trustees and Planning Commission on the I-25 committee for adopting the Schuck request to restore its original plans for an industrial park in the Forest Lakes Business Park, now that the previously-approved water park plan that was in place for the south end of the Schuck property, has fallen through. The commission unanimously approved this amendment to the town’s comprehensive plan. The Feb. 8 Planning Commission has been canceled due to lack of agenda items. At the Jan. 12 meeting of the Palmer Lake Town Council, Mayor John Cressman said two additional employees, Miles Reed of the Roads and Parks and Recreation Departments and Administrative Clerk Kathy Van Tuinen, were laid off due to reduced revenue from property taxes. Two employees from the Palmer Lake Police Department were laid off in December. Trustee Nikki McDonald’s absence from the meeting was excused. Cressman said that as a result of the layoffs, citizens might not reach a person when contacting the town offices. Town Clerk Tara Berreth and Deputy Town Clerk Bob Radosevich are the only office employees and now are sometimes attending to issues outside the Lucy Owens Town Office Building. Cressman asked "citizens to be patient" and leave a voice mail message. He said Berreth and Radosevich are doing a "great job" considering all the changes. By unanimous decision, the council passed a request to vacate and replat inner lot lines for the lot at 9 Valley Crescent. The request was made by Cheryl Baldwin. Tim Wagner, of Wagner Land Survey, represented the Baldwins. The request is to vacate the lot line between lots 1 and Lot 3 in the Valley Crescent subdivision. This request had passed unanimously in the Planning Commission. Family Nation representatives Mattie Peltier and Bill Clark requested to have April 28, 2012, recognized as Youth Empowerment Day. 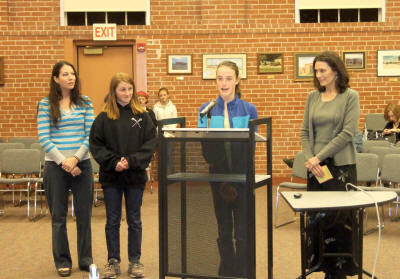 Cressman read the Palmer Lake Youth Empowerment Day proclamation. Peltier stated that Family Nation "fills the gap between social services and the school system programs." The council approved the request. Family Nation receives referrals from teachers, social workers, and neighbors to identify youths in need. Family Nation locates mentors and aligns child and teens with their interest. Parks and Recreation Trustee Gary Coleman said he raised $565 from his annual holiday train display for the Palmer Lake Volunteer Fire Department (PLVFD.) Coleman thanked The Depot Restaurant for its support of the display. Coleman also stated that he is becoming a member of the Palmer Lake Historical Society Board of Directors. Berreth said the town’s 2011 Clean & Green projects have been completed. The town will receive $32,000 in federal funds for 2012 projects. El Paso County’s Community Development Block Grant (CDBG) program distributes the funds to municipalities throughout the state. These municipalities directly administer the completion of homeowners’ projects financed by individual grants of up to $1,000. Berreth said the town will send out a mailer to notify residents when they can submit a request for some of the grant money. This year those selected will be on a first-come, first-served basis. Berreth said Palmer Lake received the largest amount among cities receiving the grant. Cressman said the Pike Peak Regional Building Department provided the town with a new Polaris ATV. It will be used for mountain rescue, reservoir access, and other duties. Economic Development Trustee Michael Maddox thanked Our Community News and the Tri-Lakes Tribune for coverage of events occurring in the Palmer Lake area. He said the Tri-Lakes Center for the Arts (TLCA) canceled a concert scheduled for Jan. 14 due to the Denver Broncos playoff game. Maddox is planning for the first Palmer Lake Balloon Festival and is in communication with the Palmer Lake Historical Society. Maddox wants to use the open space on the north side of County Line Road as the launch location but needs the assistance of Coleman to determine who owns the property. No date has been set for this new event. Maddox is working with local business owners toward the development of an Economic Council. Once formed, the council will meet on a regular basis to brainstorm ideas to benefit Palmer Lake. Police Trustee Nikki McDonald had hip surgery, and no police report was available. Water Trustee Max Stafford said the new water plant is producing water and is coming to completion. The water plant produced 12.18 acre-feet of water in December. An acre-foot is 326,851 gallons. PLVFD Chief Greg Lokken said the department responded to 349 calls in 2011, an increase of 23 calls from the previous year. Volunteer hours increased to 26,530.5, over 10,000 more hours than the previous year. Amy Tronnier became the newest member of the department at its December meeting. Lokken said with the addition of another shift, personnel are now at the station at all hours every day except Fridays. There are now four shifts. The department’s next sponsored event is the Easter Pancake Breakfast in April. Berreth said the auditors were in Palmer Lake this week and will return in April to discuss their finding. The auditors interviewed Cressman and Berreth during this visit. Cressman said the auditors were "very thorough." By unanimous decision, the council approved a business license for Ron Farley’s train restoration business, Rocky Mountain Trading Post #1 Inc. at 780 S. Highway 105 Unit A.
Resident Jeannine Hartley asked about the process of securing a business and liquor license for her proposed business. The business will include a hair styling salon, a fitness business offering Tai Chi and Zumba, and a "canvas and cocktail" concept. In the latter, customers will receive painting instructions and have the opportunity to purchase an alcoholic beverage. Hartley spoke with Maddox about cooperating with the TLCA regarding this program because she said she does not want to compete with the art center. Hartley is working on getting a lease so she can apply for a business license at the February council meeting. The liquor license request will occur at the council March meeting. Regarding the liquor license, Hartley will need to conduct a survey of neighbors within 500 feet of the business. The meeting adjourned at 7:06 p.m. The next regular council meeting will be at 6:30 p.m. Feb. 9 at Town Hall, 42 Valley Crescent. Regular council meetings are held on the second Thursday of the month. Information: www.ci.palmer-lake.co.us or call 481-2953. Following a lengthy public hearing Jan. 31, the Board of El Paso County Commissioners approved a dramatically scaled-down version of local oil and gas regulations. The board eliminated most of the proposed regulations that had been recommended for approval by the county Planning Commission. The board also directed staff to develop an intergovernmental agreement (IGA) that will give the county a designated representative to make sure local concerns are heard by the Colorado Oil and Gas Commission when the state agency reviews oil and gas applications. Regulations approved by the board are limited to damage to roads and bridges, impacts on emergency response agencies, and the mitigation and control of noxious weeds. They also incorporate Colorado Oil and Gas Commission standards that establish baseline water quality testing and monitoring of wells in the vicinity of oil and gas drilling operations at one-year, three-year, and six-year intervals. All of the other regulations proposed, including those covering setback requirements from neighboring properties, mitigation of visual impacts, noise, wildlife, and open space issues will be reviewed through the Enhanced Local Government Designee program that was recently established by the Colorado Oil and Gas Conservation Commission. The program is designed to minimize conflicts between state regulations on the oil and gas industry and the historic principle of local control over local land use matters. The county will work with the Attorney General’s Office and the State Oil and Gas Conservation Commission to develop an IGA to include areas of local concern that should be addressed by state regulators during their permit process. Similar agreements have been forged between the Colorado Oil and Gas Conservation Commission and local government agencies throughout the state to avoid the creation of a patchwork of local regulations that may overlap or pose operational conflicts with state laws. The Woodmoor Improvement Association (WIA) Treasurer Nick Oakley told the board Jan. 25 that spending for 2011 was below budget by 3.2 percent and revenues were above projections by 4 percent. These figures are offset by the fact that reserve funds were spent on such items as a new vehicle for Woodmoor Public Safety and repairs and furniture for the Barn. The board will deposit $54,000 into the reserves. Oakley also reported that he has received an unofficial report on the IRS audit of the association’s 2009 records. The association will be responsible to pay about $400 in taxes on payments to a contractor who participated in building the Marsh Trail because the contractor was not issued a Form 1099. Common Areas Director W. Lee Murray reported that he and WIA Manager Matt Beseau had gotten three estimates for repairs to the floor in the Barn where water had leaked in during a heavy rain. He said insurance will cover the cost of the floor repairs. The WIA will have more than one contractor evaluate the source of the leak before getting bids for repair of the roof. The cost of the roof repair is estimated to be $700 to $1,400 and Beseau said that it likely would be considered wear and tear on the building and not covered by insurance. Secretary Craig Gaydos reported that 800 votes are still required to ratify changes in the governing documents. The association’s previously ratified Bylaws and Articles of Incorporation need to be registered with the county. Vice President Jim Hale reported that 682 ballots have been received by mail for the Jan. 30 board election. This exceeds the quorum. The board discussed and approved the agenda for the annual membership meeting to be held Monday, Jan 30. Hale and Oakley reported the Woodmoor Water and Sanitation District (WWSD) will charge $319 per month for water at the Barn, under the new WWSD rate scale. Hale offered to speak with WWSD to see if it would be possible to reduce the size of the tap and lower the rate. Hale reported receiving a postcard from the Board of County Commissioners regarding a meeting Feb. 14 about the Doewood Gate and future plans for that area. He offered to attend the meeting on the board’s behalf. Beseau reported that the Tri-Lakes Monument Fire Protection District completed its inspection of the Barn and gave its approval. Forestry Director Jim Woodman and Architectural Control Director Anne Stevens-Gountanis presented lists of committee members for the approval of the board. The Board of Directors of the Woodmoor Improvement Association meets at 7 p.m. on the fourth Wednesday of each month at the association’s barn, 1691 Woodmoor Drive, Monument. Woodmoor Improvement Association (WIA) officials summarized the organization’s achievements at its annual membership meeting Jan. 30. President Chuck Maher reported that the WIA held more open meetings and fewer executive sessions in 2011 than previously. Accounting functions were brought back into the WIA’s office and 2011 was the second year of a balanced budget, he said. Vice President Jim Hale thanked the outgoing members of the board, Maher, Secretary Craig Gaydos and Forestry Director Jim Woodman for their service. He also praised homeowners association Manager Matt Beseau for his management and hiring choices during the year. Treasurer Nick Oakley reported that WIA’s income was over budget by 4 percent and its expenditures under budget by 3.3 percent for 2011. Some projects completed during 2011 were the reseal and repair of the Barn parking lot, purchase of a new vehicle for Woodmoor Public Safety (WPS), and new furniture for use in the Barn. Offers services day and night, 365 days a year. Works with the county sheriff and firefighting services. Monitors traffic in school zones. Offers vacation check services for absent homeowners. Can aid homeowners with such problems as being caught in a ditch, locking keys in car, or jump starting a car. Towing service is not available. Covenants Director Kirstin Reimann reported that her committee found 927 violations during 2011, most of them reported by residents. Complaints are always verified by the committee. Primary areas of complaint were slash and dead trees, trailers parked for more than 72 hours, and barking and aggressive dogs. Architectural Control Administrator Sherry Puryear reported that the committee has completed revisions to the Design Standards Manual, and it will be available for homeowners’ comments after being reviewed by the board. She also reminded members that such projects as painting, fences, roofing, window replacement, and landscaping could be approved through the WIA office. The 2011 Vincent Elorie Award for Outstanding Citizenship was awarded to Carolyn Streit-Carey for her years of service on the Forestry and Architectural Control committees. She trained as a tree monitor and later trained others and took an active part in the planning of Firewise Community Days. She also served as forestry director on the board during 2011. Board Secretary Craig Gaydos reported that about 780 votes are still required for approval of the Articles of Covenants document update. Beseau has applied for a grant to cover the cost of noxious weed control and assured homeowners that WIA is working in concert with the county on this problem. The Walters property in south Woodmoor was originally intended to be used as a golf course. It is private property and would require rezoning to be developed. WPS does a semi-annual evaluation of the condition of the streets in Woodmoor and reports to the county. Homeowners may call the county directly in the event of urgent problems. There are five sub-associations within Woodmoor. Beseau said that WIA encourages representatives of these other groups to attend WIA board meetings to be up-to-date on association activities. Members of the sub-associations pay Woodmoor dues and sometimes have their own covenants, but all benefit from services of WPS. WIA is in contact with Woodmoor Water and Sanitation regarding its new rate scale, but has no control over it. Gaydos reported that former WIA President Hans Post will receive a certificate from WIA in appreciation for his work on updating the association’s documents. The board held a reorganization meeting on Wednesday, Feb. 1, following the election held during the annual meeting. The Woodmoor Improvement Association Board of Directors meets at 7 p.m. on the fourth Wednesday of each month at the association’s Barn, 1691 Woodmoor Drive in Monument. The next meeting will be held on Feb. 22. It was a warm and dry January around the Tri-Lakes region as temperatures averaged well above normal and snowfall well below normal. January is normally a very dry month in the region, so we don’t usually expect much precipitation, but last month was exceptionally dry, with no single event producing more than 2 inches of snow. Temperatures never reached record highs during the month, with the highest temperatures only hitting the mid-50s, but only one brief Arctic air mass moved in for a couple of days, so overall, most days were slightly warmer than normal. The first week of January was dry, with temperatures starting a little below normal but quickly reaching above normal from the 3rd through the 5th. Skies were generally clear with mountain wave clouds at times. Changes began to take place on the 6th as a storm quickly dropped out of the Pacific Northwest and Northern Rockies. However, this storm was somewhat unorganized and moisture-starved, therefore only a light dusting of snow resulted on the 7th. Temperatures were noticeably cooler than in the previous few days, but certainly not cold by January standards. Active weather affected the region from the 8th through the 15th. We started off on the cold side, with highs holding below freezing on the 8th. Highs steadily warmed over the next few days, hitting 40° on the 9th and 50° on the 10th. Then a strong cold front moved in on the 11th before sunrise. This brought much colder air, and temperatures steadily fell through the day, reaching subzero levels by that evening. This front was moisture-starved however, with only 1 to 2 inches of snow falling. The cold air mass was quickly ushered out of the area by the next afternoon, and high temperatures briefly reached back above freezing. Breezy and mild conditions moved back in for the rest of the week, with temperatures reaching above normal, into the upper 40s and low 50s, on the 14th and 15th. It was a typical week weather-wise around the region during the second full week of January. Temperatures started off a little bit above normal on the 15th and 16th, with 40s to low 50s and breezy conditions. Some cooler air moved in on the afternoon of the 16th, with some light snow falling that evening. This only amounted to a little more than a dusting for most of us. The next day was a chilly one, with highs only hitting the mid-20s and some gusty winds making it feel even colder. Mild and windy conditions then moved in for the remainder of the week as high temperatures moved back to above normal. Highs reached into the mid-50s on the 19th, as winds gusted well over 40 mph. Mild and breezy conditions stuck around through the weekend, before finally cooling down on Sunday the 22nd to normal levels. This was associated with a storm system moving over the region that deposited heavy snow in the mountains and again produced strong winds and a brief accumulation of snow. The month ended much the same as it began, with temperatures slightly warmer than normal interrupted by one brief shot of cold and snow. Highs reached the 40s and low 50s each day except the 27th and 28th as a quick-moving cold front dropped around a half inch of snow during the morning of the 27th. February is often a dry and cold month for the region as we move toward the snowy and unsettled conditions of March and April. Precipitation averages less than an inch, with average high temperatures in the 30s. It can get very cold in February with Arctic air making strong pushes into the region. However, days begin to get a little longer, which leads to some nice, sunny days, and snow melts faster. Monthly Precipitation 0.13" (-0.62" 82% below normal) 100-year return frequency value max 1.56" min 0.01"
the PDF file of the weather tables. This is a 113 Kbyte file. Precipitation ended the year below average, with less than 20 inches of rain accumulating for most of us. This was especially prevalent during the first half of the year, when we were running 50 percent below average. Snowfall was well below normal for winter 2010-11 and for the year as a whole, finishing with just about 100 inches for the calendar year, about 30 percent less than average. We did finally receive a double digits snowfall on December 21-22, 2011, breaking a streak that had extended back to April of 2010. Temperatures plummeted on the last day of January 2011 as a very cold air mass moved into the region. Temperatures fell below zero on the evening of the 31st and didn’t rise back above zero until mid-afternoon on Feb. 2. That was only for an hour or so, with temperatures touching 1° F. We then had a brief respite of a couple of days before another shot of Arctic chill moved back in. Over the two-week period, several mornings had lows reach well into the -20° F range. After a very dry first half of the year, mid- to late-summer rain and early season snow helped provide some relief to the region. Precipitation totals were above normal in July, September, October, and December, with above normal snow in October and December as well. Heavy snow made an early appearance on Oct. 8, when 6 to 12 inches of snow fell across the region, taking us quickly from the Indian summer conditions that started the month and reminding us that yes, it can snow around here. Disclaimer: The opinions expressed in Letters to Our Community should not be interpreted as the view of OCN even when the letter writer is an OCN volunteer. Click here for letter guidelines. We would like to extend a very heartfelt thanks to the community of Monument for your generosity in supporting the Multiple Sclerosis Alliance of Southern Colorado (MSASC) through your contributions to the Christmas "Giving Tree" Program at the Walmart store. Thanks to all of you, the program was a great success, and the donations of merchandise and gift cards we received enabled us to provide greatly needed items for over 40 of our clients and their families within the area. Such community spirit deserves to be acknowledged, and we say kudos to everyone who participated. March is Multiple Sclerosis Awareness Month. We are working to promote greater awareness of this disease that affects so many within our community and to find more ways to meet the needs of those individuals. MSASC has a support group in Tri-Lakes/Gleneagle, which meets the second Wednesday of every month from 9 to 10:30 a.m. at Oakley’s Café at Sundance Mountain Lodge, 1865 Woodmoor Drive in Monument. For more information, call the MSASC office at (719) 633-4603. President Obama has said we must inspire our students to study STEM subjects — science, technology, engineering, and math — and get excited about STEM careers. Here are some industry STEM programs available on the Internet supporting the president’s concerns and mentoring local and state communities interested in STEM school programs. Search the term in quotation marks for more details or contact me. "Team America Rocketry Challenge" provides seventh- through 12th-grade students a realistic experience designing a flying aerospace vehicle. Students work together in local and virtual teams in the same way today’s aerospace engineering professionals support space programs. "MathCounts" works to secure America’s global competitiveness and inspires excellence, confidence, and curiosity in middle school through fun and challenging math programs. Sponsors, volunteers, and leadership of the National Society of Professional Engineers are providing students with the foundation for success in STEM careers. "CTEq" (Change the Equation) works to: improve STEM teaching at all grade levels; inspire student appreciation for STEM careers and opportunities for advanced education, especially among females and students of color; and achieve a sustained commitment improving STEM learning from business leaders, government officials, and STEM educators through innovation, communication, and community collaboration. "FIRST Robotics" inspires students to pursue careers in STEM by creating opportunities to engage in after-school activities that offer a mix of technology, sports, and staging team-based robotics contests. These are just some of the organizations and programs available if District 38 members are interested in advancing STEM educational activities. We can work as a community to increase STEM in our district and collaborate with other El Paso County school districts. Lewis-Palmer School District 38 Board of Education Vice President Mark Pfoff recently commented that back in 2008, there were serious issues with staff morale. Then he said a good job was done in dealing with that issue. He maintains that teacher morale is no longer an issue. What was done? He has ignored the fact that D-38’s teacher turnover is the highest in El Paso County and that our superintendent acknowledged that the biggest challenge he faces is teacher morale. The last district-wide teacher survey (2009) indicated that 48 percent of teachers feared retaliation for expressing their opinions about the district—for exercising their First Amendment rights. Pfoff also stated, "You walk into any school and pull a teacher out of any classroom and you ask them how they feel about this administration, how do they feel about the school board, and I am confident that the majority of the teachers will say things are much better." Rather than use empirical evidence, his words indicate a strong-armed approach intended to intimidate professional workers into toeing the party line. He also doesn’t address low pay, frozen wages, larger class size, increased total student numbers and associated workload, and teaching more classes that impedes our teachers’ ability to do their job as well as they have in the past. On Jan. 17, the Denver Post published an article about teacher morale in Douglas County. In a 2008 school survey, the teachers of DougCo reported a positive climate in their buildings and were able to give the district an 80 percent approval rating. Last month’s survey was disturbing. Teachers now feel little support for the classroom and their approval rating of the district climate has dropped to 14 percent. This begs the question, why doesn’t D-38 survey its teachers? What Shawn O’Toole fails to point out in his letter to Our Community News ("Marijuana’s harmful health effects are well-documented," Jan. 7) is that alcohol is still the No. 1 drug of choice and that the overall damage that alcohol does to the human body is far greater than marijuana. There have been other studies that have shown that short-term memory problems occur because of the aging process—in other words, just getting older. The benefits of marijuana for those of us with serious illness is much greater than the narcotics that doctors push on people every day. Also, a lot of people more and more prefer to eat marijuana so they do not damage their lungs. Please, Mr. O’Toole, prove to me that long-term abuse of alcohol does far less damage to the human body from top to bottom than marijuana. This is my opinion: Alcohol is the most damaging and dangerous drug around. As a parent, I would like to see Mr. O’Toole be as outspoken about the dangers of alcohol as he is marijuana. Alcohol, the No. 1 drug of choice, is widely used among the youths in this country. The gist of my first letter to OCN was about the fact that alcohol is the No. 1 drug of choice and the most damaging drug to the human body over long-term abuse. I am a recovering alcoholic, 23 years clean and sober of alcohol, the drug that nearly took my life. Have you ever wondered what it would be like to be Queen Elizabeth, or George Washington, or a modern day celebrity like Diane Keaton, or even Tim Tebow? Memoirs offer us a window into those other worlds. Compulsively readable and scrupulously researched, this book gives us a close-up view of a woman we’ve known only from a distance, illuminating the lively personality, sense of humor, and canny intelligence with which she meets the most demanding work and family obligations. 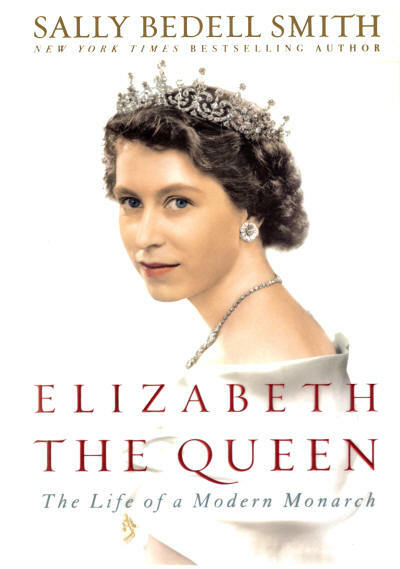 It is also a fascinating window into life at the center of the last great monarchy. This is the amazing, true story of a real-life superhero who wore no cape and possessed no special powers—yet changed the world forever. Washington’s life reads as if it were torn from the pages of an action novel: bullet holes through his clothing; horses shot out from under him; unimaginable hardship; disease; heroism; spies and double agents; and, of course, the unmistakable hand of Divine Providence that guided it all. Born as an obscure German princess, Catherine traveled to Russia at 14 and transformed herself into an empress by sheer determination. Possessing a brilliant mind and an insatiable curiosity, she devoured the works of Enlightenment philosophers and, when she reached the throne, attempted to use their principles to guide her rule of the vast and backward Russian empire. Taking you from his first week of Pop Warner practice to his record-setting career at Florida to his rookie season in Denver, Tebow talks about his biggest wins and most frustrating losses, showing how through both triumph and defeat, he has grown as a leader, as a person, and as a Christian. What emerges is a captivating portrait of a man whose passions demand the best from teammates, whose words inspire faith in others, and whose heart leaves everything on the field. In this unforgettable memoir, you will meet the woman known to tens of millions as Annie Hall, but you will also meet her mother, the loving, complicated, always-thinking Dorothy Hall. Drawing on thousands of pages of journals Dorothy kept over the years, Diane paints a portrait of her mother, as well as of her entire family, recounting a story that spans four generations and nearly a hundred years. A talented journalist takes a frank and revealing look at what makes Mitt the man tick, portraying him as more human than he often appears to be on the stump. Scott also attempts to answer the question everyone is asking: Could a faithful Mormon really win his party’s nomination and then upset the popular, if now struggling, incumbent president? If you have ever toyed with the idea of writing your own memoir, this is the book for you. Goldberg, a poet, teacher, and author of 11 books, tells us that to write a memoir, we must first know how to remember. Through associative and meditative exercises, she helps people open forgotten doors of memory, welcoming aspiring writers of all levels and encouraging them to find their unique voice to tell their stories. If life sometimes seems drab, difficult, or complicated, it may be some consolation to learn that celebrities face many of the same challenges as we ordinary people do. Or it may just be entertaining to read of their storied lives. The staff at Covered Treasures Bookstore can be contacted at books@ocn.me. Click here or on the painting to zoom in. 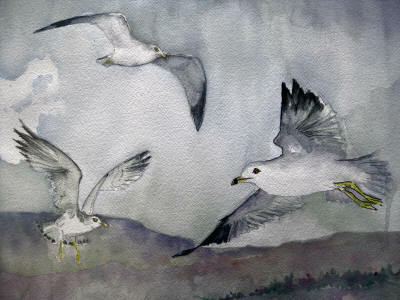 Below: Painting of Ring-billed gulls by Elizabeth Hacker. When my children were young I often read to them, and one of their favorite stories was Jonathan Livingston Seagull, a classic tale about a seagull’s search for the meaning of life. They also enjoyed the silly seagulls in the film Finding Nemo that loudly utter one word, "mine." As a result of these depictions, every time they saw a gull they were sure it was Jonathan and that he was saying "mine, mine." But more importantly, it sparked their interest in birds. Seagulls are big birds that do not shy away from humans and thus provide immediate gratification for the beginning birder. Ring-billed gulls are the most common gull in North America and can be found in parks, fields, parking lots, on beaches, and in other urban and suburban habitats. They are communal birds, so common that they tend to be ignored, and in that respect, they are rather like pigeons. Often gulls are associated with oceans but this gull is as much at home on land as in the water. When compared to other gull species, the ring-billed is a small to medium bird about 17 inches in length with a wing span of 4 feet. Its beak is yellow with a black ring near the tip, thus the name. Its eyes are yellow and its legs and webbed feet are a greenish yellow. The adult’s body plumage is white with pale gray wings. The tips of their gray wings are black with white spots. Some bird species, such as the robin, attain adult plumage in a single season, while other species like the bald eagle take up to five years to mature. The ring-billed gull attains its sleek looking adult plumage in its third year. Until that time juveniles appear a mottled brown or gray and have pinkish bills. What is a feather and why do birds molt? A bird’s most precious possession is its feathers. Feathers are beautiful and allow birds to fly while protecting their bodies. Feathers are complex structures with scientific names and upon which volumes have been written. In very simple terms, there are two types of feathers. Vaned feathers are used for flight, and down feathers, which are located below the vaned feathers, provide thermal insulation. When pin-feathers first poke through the a bird’s skin they are alive but after feathers become fully formed, they are dead tissue and cannot be repaired, somewhat similar to human hair. Even with preening, over time, feathers wear out and become frayed. Molting is the process of replacing worn feathers with new ones. Some birds lose all their feathers during a molt while others lose a few at a time. All birds lose their feathers symmetrically. When feathers on the right side molt, the same feathers on the left molt. Without this symmetry birds would be unbalanced, and their flight would be unstable. Gulls molt twice a year, and with each molt juveniles begin to look more like an adult. Gulls are intelligent, watchful, and highly social birds that aren’t picky about the food they eat. Although they prefer a diet of fresh fish, earthworms, rodents, insects, and grains, they are also the sanitation engineers of the bird world, scavenging for garbage near picnic areas and landfills. They consume dead animals and organic litter that when left to rot could pose health hazards to humans. Ring-billed gulls congregate in large flocks and forage while walking, wading, swimming, or flying and can become aggressive when protecting their food. While kayaking on Monument Lake, I noticed gulls flying overhead. I’d heard that they were watchful and to see how watchful, I threw a peanut butter cracker as high as I could into the air. In a flash, one gull swooped over and caught it before it hit the water and then flew to shore with it wedged in its beak. As soon as it landed other gulls surrounded it, screaming "mine, mine." During mating season, the thin orbital ring around the gull’s yellow eyes become bright red. While this change may be difficult for humans to see, it’s like a neon sign to a gull. Mating season begins in March and eggs are laid in May or June. Gulls are considered monogamous but a male may mate with two females. When this occurs, the females locate their nests close together and the male defends one territory. Females lay two to four brown eggs and both parents incubate the eggs for about three weeks. Parents take turns tending to the hatchlings and foraging for food until the fledglings learn to fly, about five weeks after hatching. Like acrobats in a circus, seagulls make their difficult aerial twists and turns look easy. Their movements seem effortless whether they are floating on top an air current or flapping their wings. People in remote coastal communities use seagulls to predict storms. One saying that I remember hearing while in coastal Alaska was, "Seagull, seagull, sitting on the sand; it’s never good weather when you all fly to land." The English words "gullible" and "gulled" are thought to be derived from gulls’ foolish behavior. The Russian dramatist Anton Chekhov named his play, The Seagull, for the foolish characters that chose to remain ignorant that their world had changed. Native American folklore is also filled with references to the gull. While some cultures considered the gull to be a noisy antagonist, others considered it a trickster clever enough to get the better of hero Raven. The gull is revered by many tribes for its endurance and perseverance. 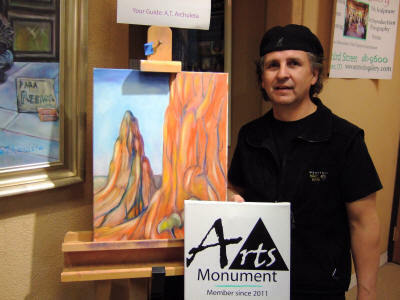 Below: Anthony Archuleta, co-owner of Secret Window Gallery in Downtown Monument talks about the Monument Arts Association (MAA) as he prepares to teach an oil painting class at his adjacent art studio. The MAA is a way to organize artists and art studios to become more involved in the community by sharing their work and creating new sales opportunities. Photo by Janet Sellers. 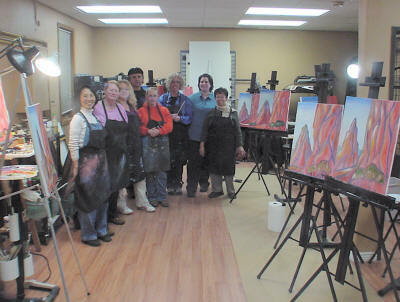 Below: Archuleta’s "Experience Oil Painting" class. From left: Hiromi Ahlstrom, Dianne Schroeder, Tracy Grotzmager, Anthony Archuleta (Instructor), Dolly Rickerman, Sara Delany Cara Backman, and Maggie Williamson. The class is about living the experience of oil painting and gaining insight into techniques used to create an oil painting. Photo provided by Anthony Archuleta. I dropped by the Bella Art and Frame Gallery one cold, snowy day. It was nice to come in from the cold and into a pleasant, spacious world of art for the afternoon, and I had a chat over a mocha there with Maggie, the owner. She told me about a new art group just forming and interested artists, galleries, and local merchants are welcome to join. They’d like to promote the arts here locally and widen the interest for people traveling down from Denver and up from Colorado Springs and from farther south in New Mexico. Since we have art venues ranging from Baptist Road (Southwinds Gallery) to Monument to Palmer Lake, that’s a lot of art available! The group is called the Monument Arts Association (MAA). Maggie said its mission is to enhance the quality of life and the creative vitality of the people of Monument and surrounds. It’s also nice for those visitors to our area to visit our art venues on a Friday evening—easier to do than during the week. The current location for the group is at Secret Window Gallery at 47 Third St. (Front Street and Third) in Monument. Later, I dropped by to look into the MAA there, and spoke for a bit with co-owner Anthony Archuleta, just before the oil painting class at his studio. He took me on a tour of the main gallery, all the while telling about the upcoming summer MAA events and the like, which includes a Fourth of July "Indian Market" of highly sought-after Native American artworks. We walked amid the opulent floral artworks of the on-site floral studio and casually perused the wide variety of large-scale works displayed and the variety of sculptures, featuring artists from all over Colorado and the U.S. While January is more of a cocoon month here in our town, February is a great month to check out the art venues and perhaps purchase something artfully wonderful for your sweetie. Art as a gift means a welcome message of love for years and years. See you in town for art! Tri-Lakes Views announces a Call for Entries for its annual outdoor public art exhibit titled ARTSites. Submittal deadline is March 10. If you have questions, contact bkonarski@earthlink.net. Tri-Lakes Center for the Arts (TLCA) will hold a "Visions of Light" photography show beginning Feb. 28. The exhibition will have five categories and a $500 best of show award. For details, visit the TCLA at 304 Highway 105, Palmer Lake, or visit www.trilakesarts.org. Also of interest to local artists: TLCA has two art studios to rent. For information, call 719-481-0475. Below: From left, bottom row are Brownie Scouts Ali Kromberg, Sammy Brague, and Sophie Logsdon. In the second row are Brownie Scouts Madson Smith, Julia Matson, and Elizabeth Padrnos. In the third row are VFW Post 7829 Ladies Auxiliary President Martine Arndt and auxiliary members Nannette Smith, Janna Kjonaas, and Val Loman. In the top row are Girl Scout Brownie Troop 4609 Troop Leader Lori Matson with helpers Valerie Kromberg and Michelle Brague. Girl Scout Brownie Troop 4609 had gathered with the Ladies Auxiliary for a lesson on the folding of the flag. Photo by Bernard Minetti. VFW Post 7829 Ladies Auxiliary President Martine Arndt joined with Girl Scout Brownie Troop 4609 to teach a lesson in flag etiquette on Jan. 13. The lesson was a demonstration to the troop on folding the flag and the meaning of the 11 folds. With the assistance of three ladies from the auxiliary, Arndt demonstrated and explained the technique to the six brownies and the three troop leaders at Trinity Lutheran Church. Arndt explained that the first fold stood for liberty, the second fold for unity, the third for justice, the fourth for perseverance, the fifth for hardiness, the sixth for valor, the seventh for purity, the eighth for innocence, the ninth for sacrifice, the 10th for honor, and the 11th for independence. Following this explanation, the brownies were instructed in the method to properly fold the flag. Arndt continued by stating that in 1782, Secretary of Congress Charles Thomson was the original specifier of the virtues associated with folding the flag. This was adopted by the National Flag Foundation and is recommended as a formal procedure prior to the folding of the casket flag. 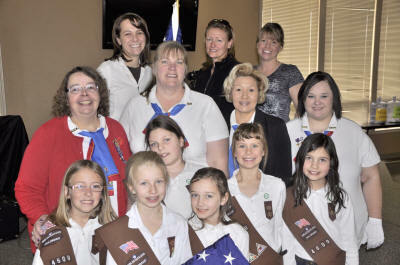 Following the lesson, Troop Leader Lori Matson thanked the auxiliary for the instruction. 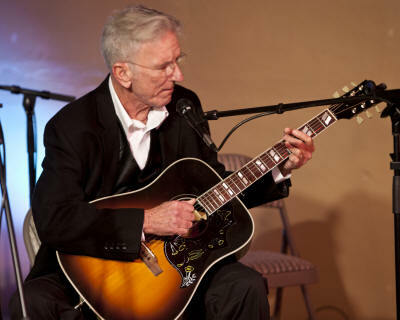 Below: Barry Beard and other performers during their performances at the Positively Pikes Peak presentation at the TLCA. 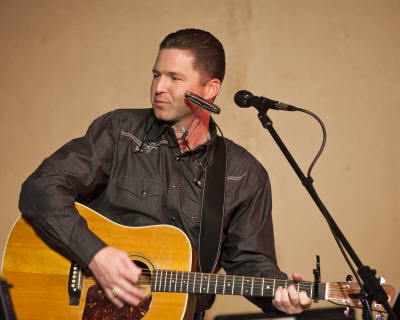 On Jan. 28 the Tri-Lakes Center for the Arts (TLCA) hosted Positively Pikes Peak (PPP) for a near-capacity audience. The project is a tribute to the music of Bob Dylan, who has now amassed a 50-year musical career. 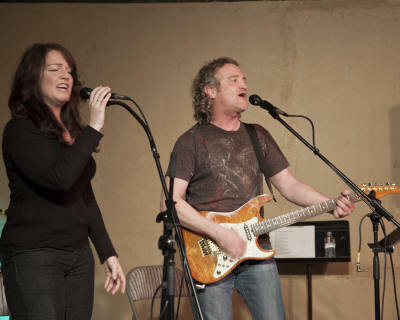 PPP resulted in a 2011 CD release of 13 Bob Dylan songs performed by musicians from the Pikes Peak region and was produced by Colorado Springs resident Jason Bennett. Jeremy "Doc" Hodges, who performed Jan. 28, said, "Dylan’s influence is worldwide" and "through his music he brings us all together." On this evening musicians performed the songs they contributed to the CD along with one or two of their own works. The Dylan songs ranged from the well-known such as Lay, Lady, Lay to the lesser-known Not Dark Yet, and all songs were performed with unique, personal twists. Information on PPP is at www.positivelypikespeak.com. Information on upcoming events at the TLCA is at www.trilakesart.org. 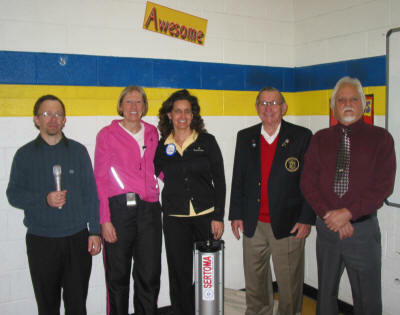 On Friday, Jan. 13, representatives of the Legacy Sertoma and Rocky Mountain Sertoma Clubs formally presented a Frontrow To Go sound amplification system to the Foothills Elementary School P.E. Department in front of the entire student body assembled along with parents and other guests. Representing the two clubs, Pikes Peak District Governor Kinney made the presentation remarks. When Legacy Sertoma received the request for assistance, funds were not in the club’s budget, but their Board decided to front $300 if one of the other local Sertoma Clubs would proffer the rest. Rocky Mountain Sertoma immediately stepped up with $250, allowing the equipment to be ordered and it has now been in use at the school since just before the Christmas holiday break. The P.E. teacher, Barb Francklyn, actually tears up when describing the vast difference it has made for a surprisingly large number of her students. The last sentence of her Thank You note – "You have touched many lives for years to come." -- really says it all and it’s why Sertomans do what they do. 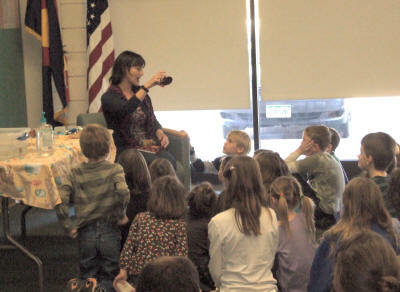 Below: Hilary Penner of The Traveling Sea shows young patrons a sea sponge and explains its habitat. Photo by Harriet Halbig. January programs at the library were all well attended, especially the Crafty Teens program. More than 20 teens learned the art of kumihimo, Japanese braiding. Teens are encouraged to continue learning new skills during the February Crafty Teens event on Friday, Feb. 10. Learn how to make great valentines from a wonderful teacher. Space is limited for this special class, so register online or with a librarian at 488-2370. The program will last from 4 to 5:30 p.m.
Join us for our annual winter festival, the Winter Blues Blast, on Feb. 11. The day begins with an opportunity to learn to play the harmonica from one of the best: Ronnie Shellist from the Colorado Blues Society. Participants from grades 2 to 8 are welcome to learn about the origins of blues music and how the blues can be a positive part of their lives. Each participant will receive a complimentary harmonica and an introductory lesson, and will have an opportunity to jam with the band. Registration is required and space is limited, so sign up soon. The class will last from 10:30 a.m. until noon. In the afternoon, blast away your winter blues with a series of fun, music-inspired programs, crafts, and activities. There will be a live jazz and blues music jam session concert at noon. 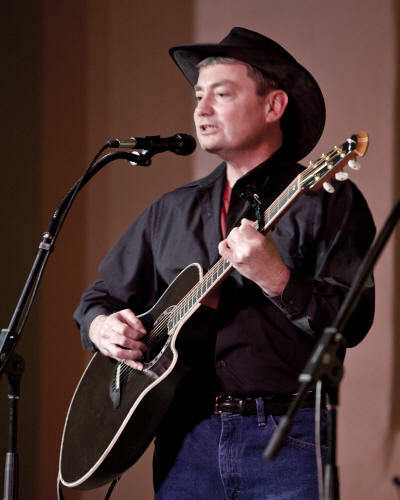 Join a sing-along with Nathan Worthey at 1:30 p.m., learn to dance with a Palmer Lake Elementary School sixth-grade class, and become part of an impromptu rhythm band at 3:30 p.m. Face painting, crafts, snacks, and hand bells will be available throughout the afternoon. Come join us for one of the biggest events of the year! Mark your calendar for Feb. 11. Book-Eaters, the teen book club for grades 7 and up will meet on Wednesday, Feb. 15, from 4 to 5:30 p.m. to discuss Found – Book One of The Missing series by Margaret Peterson Haddix. Come and chat, enjoy snacks, and get a chance to win a book. The Monumental Readers book club is open to all patrons. This month’s selection is Crooked Letter, Crooked Letter by Tom Franklin. The group will meet on Friday, Feb. 17, at 10 a.m.
Saturday, Feb. 18, will be a busy day at the library. In the morning, LEGO enthusiasts of all ages are welcome to join the LEGO Club. We’ll provide the LEGOs and you bring the creativity. Please do not bring your own LEGOs (although donations are gladly accepted). Be sure to bring your camera to record your creation—all pieces used to make projects remain the property of the Pikes Peak Library District. The fun begins at 10:30 a.m. and lasts until noon. The AARP Mature Safe Driving Program will be offered on the afternoon of Feb. 18 from 1 to 5 p.m. This is a refresher course specially designed for motorists age 50 and older. Graduates may present their course completion certificate to their insurance agent for a discount. Charge for the four-hour course is $12 for AARP members and $14 for nonmembers. Class size is limited and registration is required. Looking ahead, there will be a workshop on "Hiring an Unpaid Colorado Intern" at the Monument Library on Monday, March 5, from 8:30 to 10 a.m. The workshop covers such topics as how your non-profit will benefit by having an intern, which colleges are best for quality interns, how to post for an intern online, and interviewing and hiring techniques. A step-by-step guide is available for sale to those who cannot attend. The program is sponsored by the Tri-Lakes Non-Profit Council. To register, please call the Tri-Lakes Chamber of Commerce at 481-3282. Artwork by students of Lewis-Palmer High School will be on the wall in February. In the display case will be a display by the Pikes Peak Depression Glass Club. Come to Palmer Lake Town Hall for a special program, Destination: Mount Everest. Mark Schaible, a volunteer at the library, will present a photo journal of his 2011 trip to Mount Everest. Mark overcame serious illness and a bone marrow transplant before embarking on this journey. Learn all the details of his 10-week adventure. Please register at 481-2587. Palmer Lake’s Family Fun Program for February is The Traveling Sea. Have a hands-on experience with sea animals in a travel touch pool. Learn about adaptations, movement, body shapes, and what we can do to help protect these creatures. Make an ocean craft to take home. The program will take place on Saturday, Feb. 18, at 10:30 a.m.
Palmer Lake’s Paws to Read dogs are waiting to read with our young patrons. Read with Misty, the Sheltie, on Thursday, Feb. 6, from 4:30 to 5:30 p.m. Kirby, our golden retriever friend, will read with you on Saturday, Feb. 25, from 11 to noon. Knitters of all skill levels are welcome to join the Palmer Lake Library Knitting Group, which meets each Thursday from 10 until noon. Bring your project and enjoy the fellowship of other crafters. The Palmer Lake Book Group will discuss Into the Wild by Jean Hegland at 9 a.m. on Friday, March 2. New members are always welcome. Please note that all Pikes Peak Library District facilities will be closed Feb. 20 for Presidents Day. Below: New board members of the Palmer Lake Historical Society are, from left to right, the Rev. John Snyder, Jack Anthony, Treasurer Barbara Arbuthnot, Pat McCarthy, Maggie Williamson, Georgia Follansbee, and Al Walter, the new president of the Society. Photo by Bernard Minetti. About 70 people attended the annual potluck, membership renewal and sign-up meeting for the Palmer Lake Historical Society on Jan. 19. During the meeting, now President Emeritus Phyllis Bonser announced that she had retired from the presidency and had accepted the role of liaison to the other historical societies in the region. The new board members were introduced. They are retired pastor of Monument Presbyterian Church the Rev. John Snyder; local historian and Society contributor, retired Air Force Col. Jack Anthony; Treasurer Barbara Arbuthnot; Society member Pat McCarthy; Bella Art & Frame owner Maggie Williamson; member Georgia Follansbee; and retired Army Lt. Col. Al Walter, the new president of the Society. The February meeting of the Society will be highlighted by a presentation, "The Frank Lewis-Dale Jones Gang." Retired Colorado Springs police investigator Dwight Haverkorn will describe some of the history of this group that killed nine police officers between 1913 and 1918. He will also tell the story of the deadly shootout involving the gang in Colorado Springs in September 1918. Haverkorn is well-known for his persistence in attempts to identify whoever slaughtered six people in two neighboring homes in Colorado Springs on one night in September 1911 and who was never caught. The killings are still considered the worst in the city’s history because of the number of deaths. The Palmer Lake Historical Society meets at 7 p.m. on the third Thursday of the month. The next meeting will be on Feb. 16 at the Palmer Lake Town Hall. Membership is not required to attend. An activity of Tri-Lakes Health Advocacy Associates. Meals are provided by Pinecrest Catering, Palmer Lake; Nikki McDonald, executive chef, 481-3307. Free income tax filing assistance and e-filing is offered by the American Association of Retired Persons (AARP) Tax-Aide program. Trained AARP volunteers will be available every Monday and Thursday, Feb. 2-April 16, (except Feb. 20, Presidents Day), 1-7 p.m., at Tri-Lakes Cares, 235 Jefferson St., Monument, to answer questions and to assist filers in completing their federal and state income tax returns. Please note that Feb. 16 and March 16 tax assistance will only be available 11 a.m.-3 p.m. Volunteers will assist taxpayers in preparing their Forms 1040, 1040A or 1040EZ. Filers are asked to bring proof of Social Security numbers for themselves and for any dependents they are claiming. Filers should also bring their W-2s, 1099-INT, 1099-DIV, etc., to complete their 2011 return, plus a copy of last year’s (2010) tax return. For additional locations, visit www.aarp.org/VMISLocator/searchTaxAideLocations.do. For more information, or to make an appointment (recommended), call Jim Taylor, 488-1317. Valentine cards/envelopes destined for remailing to other countries should be in Loveland by Feb. 4. Those for remailing within the U.S. and outside of Colorado should be in Loveland by Feb. 9. Those for remailing within Colorado should be in Loveland by Feb 12. You can also drop off pre-stamped valentine envelopes at King Soopers and City Market stores that have Loveland Valentine Remailing boxes. The Fairgrounds Corp. is a nonprofit corporation established by the El Paso County Board of Commissioners to acquire, manage and/or hold a liquor license assigned to the El Paso County Fairgrounds; to coordinate the use of the fairgrounds for special events during which the consumption of alcohol is desired; and through its operation, to provide funding to support the county Fair, the Fair and Events Complex, and the county 4-H program. It consists of five members who are appointed for three-year terms. The volunteer application is located at www.elpasoco.com and can be accessed by clicking on the "Volunteer Boards" link. Applications are due by Feb. 10. For more information call 520-6436. Public meetings about the possibility of implementing bus fees for the 2012-13 school year will be held in the Learning Center of the District Administration Building, 146 Jefferson St., Monument: Feb. 7, 7 p.m.; Feb. 8, 4:15 p.m.; and Feb. 10, 9 a.m. For more information, call 481-9546. The Palmer Lake Municipal Election is scheduled for April 3 and six positions are open for election — mayor (two-year term) and five trustees (four-year terms). Nomination petitions will be available beginning Feb. 13 at the Palmer Lake Town Office, 42 Valley Crescent. Requests for absentee ballots are now being accepted. For more information, call Tara Berreth, 481-2953. Donate used CDs until Feb. 13 in collection boxes at all Pikes Peak Library District locations. Independent Records will donate $1 to the library for each donated CD to help support All Pikes Peak Reads in 2012. CDs must be in good condition, including all original lyric sheets and/or art. All Pikes Peak Reads is a community-wide effort to improve literacy and foster dialogue across social, cultural, and generational lines. The program includes free community events, author visits, children’s programs, theater presentations, school curriculum guides, art exhibits, and much more. The Monument Branch Library is located at 1706 Lake Woodmoor Dr. The Palmer Lake Branch Library is at 66 Lower Glenway. The local Board of Health seeks volunteers with three to five years of nonprofit and/or educational senior level experience. Experience in grant development and management is also desirable. The individual appointed will serve a five-year term beginning April 1. Applications are due by Feb. 17. Further information and volunteer applications are available at the website, www.elpasoco.com. Click on the "Volunteer Boards" link at the top of the page. For more information, call 520-6436. Wescott Fire is now accepting applications for the next class of volunteers. Applications must be received by Feb. 20 and can be downloaded from the website, www.wescottfire.org, or picked up at the station, 15415 Gleneagle Dr. For more information email Lt. Tim Hampton thampton@wescottfire.org or Lt. Bryan Ackerman backerman@wescottfire.org or visit www.wescottfire.org. The El Paso County Clerk & Recorder will host its third Citizens’ Academy March 7-April 18. The Academy offers participants an overview of the County Clerk’s departments–Elections, Recording, Motor Vehicle, and Clerk to the Board of County Commissioners. The academy provides an interactive and informative behind-the-scenes look at the responsibilities and operations of the office, with emphasis on elections in preparation for the upcoming presidential election. The sessions will be held March 7-April 18, 6:30-8:30 p.m., mostly at the Citizens Service Center, 1675 W. Garden of the Gods Rd., Colorado Springs. There is no session March 28. There is no charge to attend the academy but space will be limited. High school and college students are welcome to apply. The deadline for applications is Feb. 22. The application can be found on the website, http://car.elpasoco.com/Pages/CitizensAcademy.aspx. For more information, contact Mary Lynn Black, 520-6215 or email marylynnblack@elpasoco.com. The El Paso County Sheriff’s Office Reserve Unit seeks motivated individuals to join this all-volunteer unit. Reserve deputies are certified peace officers and provide vital support to the Sheriff’s Office by working in patrol, detentions, and special events throughout the county. The unit will host an open house Feb. 23, 7 p.m., at the Sheriff’s Office Training Academy, 2741 E. Las Vegas St., Colorado Springs. This event is open to everyone interested in becoming a reserve deputy. Members of the media are also welcome to attend. Applications are available for download at the Sheriff’s Office website at http://shr.elpasoco.com/Law+Enforcement+Bureau/Patrol+Division/Reserve+Unit.htm. The reserve unit application deadline is Feb. 24. For more information, call 310-5538 or email reserverecruiter@elpasoco.com. Pikes Peak Library District’s annual adult reading program runs through March 5 and is open to anyone age 18 and older with a PPLD library card. Read any four books and receive prizes. Books on CD, audiocassette, audiobook players, eBooks, and eAudiobooks count, too! To register, bring your library card to any district library and sign up at the information desk, or sign up online at ppld.org beginning. After you read your first four books, visit your nearest library to pick up your first prize. Read four more books before March 5 and visit the library again for your second prize and to be entered for the grand prize drawing of a new Kindle eReader! For more information, call 531-6333. The Western Museum of Mining & Industry is showing thanks to our military by offering free admission to active duty military that show their Active Duty ID. The rest of the family will receive $1 off per person in honor of their family member. The museum is open Mon.–Sat., 9 a.m.–4 p.m., and is located at 225 North Gate Blvd. (I-25 Exit 156 A). For more information, call 488-0880 or visit www.wmmi.org. Each Monday through March, seniors will be admitted into the Western Museum of Mining & Industry for just $2.50 (regularly $6). Come see the museum that works! Tours begin at 10 a.m. and 1 p.m. Group tours are available upon request. WMMI is located at 225 North Gate Blvd. (I-25 Exit 156 A). For more information, call 488-0880 or visit www.wmmi.org. Do you have talent? Tri-Lakes, Colorado Springs, and Larkspur area youths and young adults ages 6-24 can compete for prizes and awards. Music, comedy, dance, whatever––send your video auditions by March 3. Video auditions may be cell phone quality. Get details and download the entry form at www.familynation.net or call 465-2001. Tri-Lakes Views invites artists to participate in ARTSites, a public outdoor art exhibit showcasing sculpture on pedestals installed around the community and in the newly established Monument Sculpture Park at Big Red. The exhibit will be on display for one year and will be featured in the annual ARTSites map distributed to restaurants, hotels, and shops throughout the area. Artists receive a $300 stipend for each piece accepted by the jury. Entries must be received by March 10. Visit www.trilakesviews.org for details on how to enter. For more information, email bkonarski@earthlink.net. Continuing its 35-year tradition of support to the Tri-Lakes community through charitable and educational endeavors, the Tri-Lakes Women’s Club (TLWC) will once again consider grant requests for special programs and projects from 501(c)(3) nonprofit organizations, public service organizations, and public schools that significantly serve the Tri-Lakes area defined by School District 38. Applications and instructions for the 2012 grant awards will be available on the TLWC website (tlwc.net) through March 15. Completed applications (which must include certain required documentation) must be postmarked no later than March 15. Late and/or incomplete applications will not be considered. Awards will be announced to grant recipients in late May. For more information, email Nancy Brown, Grant Committee Chair, at Brownnw@comcast.net. Black Forest Animal Sanctuary was founded in the late 1990s as the Charlotte & Arthur Romero Wildlife Sanctuary, an all-volunteer and not-for-profit 501c3 that helps all animals. The sanctuary is getting dozens of calls and emails every day begging for them to take in unwanted, neglected, and abused horses and other livestock animals, dogs, and cats from the Front Range area. Its goal is to rescue, rehabilitate, and retrain horses and find them permanent loving homes. They are in immediate need of funding for feed and veterinary care and significant shelter improvements to continue their work. To volunteer, adopt an animal, or make a donation, contact 494-0158, bfasfarm@aol.com, or visit www.bfasfarm.org. A multiple sclerosis (MS) group is forming for the Tri-Lakes and surrounding areas. If interested, please email Susan, susan@cvscorp.com.